2014 : The Year Of The Beast! Eight of you eagle-eyed freaks correctly located the “Zoinks” that was EXTREMELY well hidden in the pages of Episode 1 of Escape From Jesus Island. First, let’s reveal the location of our Scooby Doo tribute. It is hidden at a point of the story when it would extremely appropriate to say, “Zoinks!” Directly above Meatwagon’s dialogue on page 23 (print) or 25 (digital). 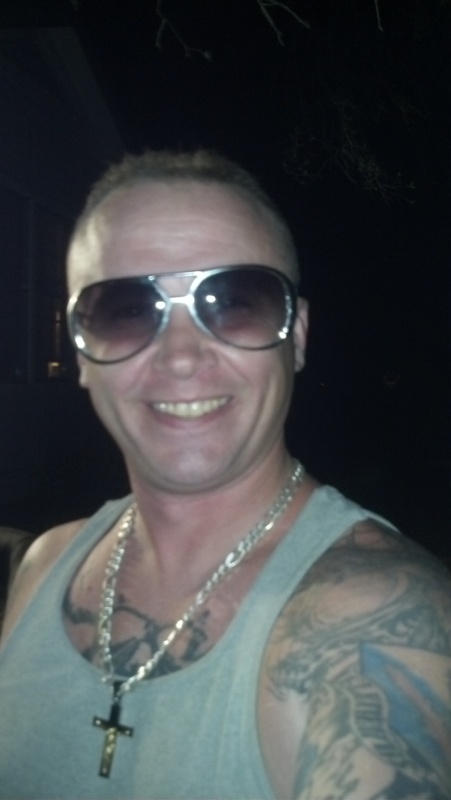 Steven Topich from Skowhegan, Maine. Honorable mention goes out to the other seven fans who correctly located the Zoinks: Big Gore, Jamin Levasseur, Hank Hampton, Ben Black, Ninna Hellman, Steve Nutting and Donald Newcomb III. 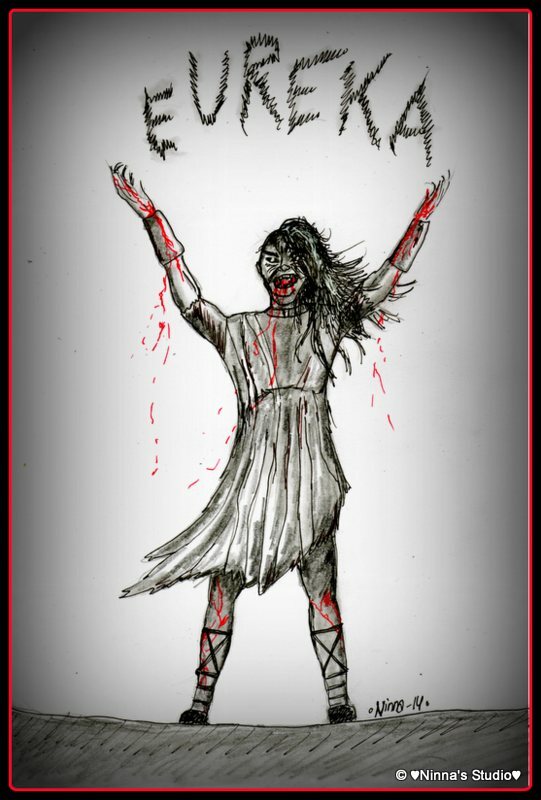 In my favorite of the entries, Ninna included a celebratory Antichrist drawing. The Zoinks was one of many, many, many tiny little concealed details in our first issue and Donald Newcomb spotted one of our favorites… this background sign hidden in one of the panels. So we’re going to hook Donald up with a signed print of this panel as a reward for his attention to detail. Thanks to everyone who took part and our congratulations to Steven and Donald, winners in our first EFJI Hidden Object game. Your prints will be hitting the mail next week! Phantom Variant cover for Escape From Jesus Island #2! The Phantom Variant version of our premiere issue was such a hit for the Phantom stores that they’ve invited us to do it again with EFJI #2. As such, it is my pleasure to unveil the latest freakish masterpiece from illustrator Mortimer Glum. Behold, the Phantom Variant cover for Episode 2! You may be sensing a theme with our Episode 2 covers, as we start digging into the meat of the story to find out what horrors await at the Malsum Island Testing Facility. New Contest: Find the Zoinks! Many readers and critics have made mention of the obvious nods to Scooby Doo in our first episode. We’ve quietly sat by, knowing that our favorite reference is very well hidden in the pages of Episode 1, waiting to be found. 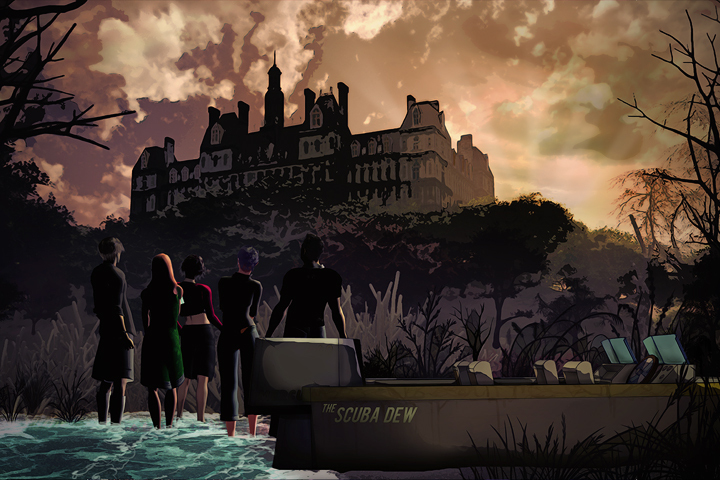 Somewhere in the pages of Escape From Jesus Island #1 is hidden the classic Scooby Gang phrase: Zoinks! TO ENTER: Locate the hidden Zoinks. Send the page number and a description of the panel to efjiletters@gmail.com. A winner will be randomly selected from the correct entries. PRIZE: An 11″ x 17″ print of the Zoinks page from Episode 1, hand signed by artist Mortimer Glum. DEADLINE TO ENTER: February 28 at Midnight EST. 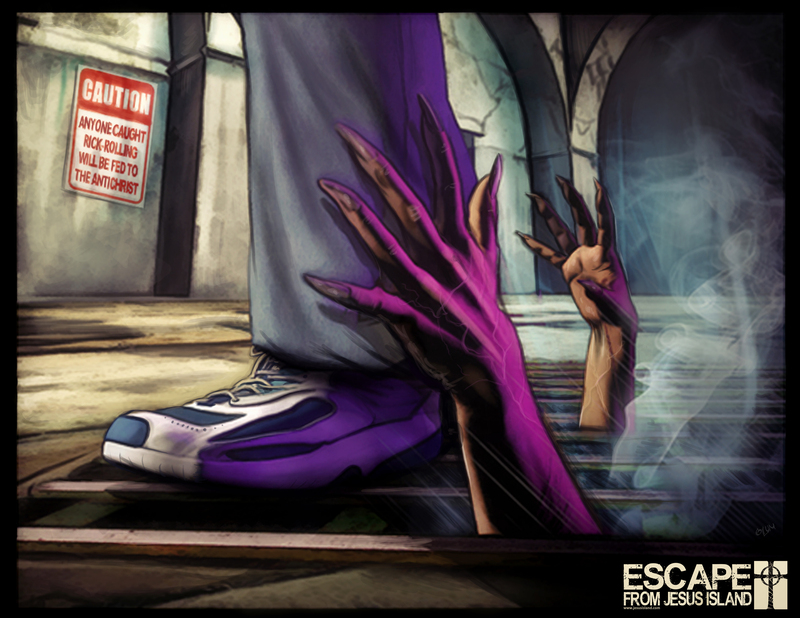 Escape From Jesus Island launches TODAY! 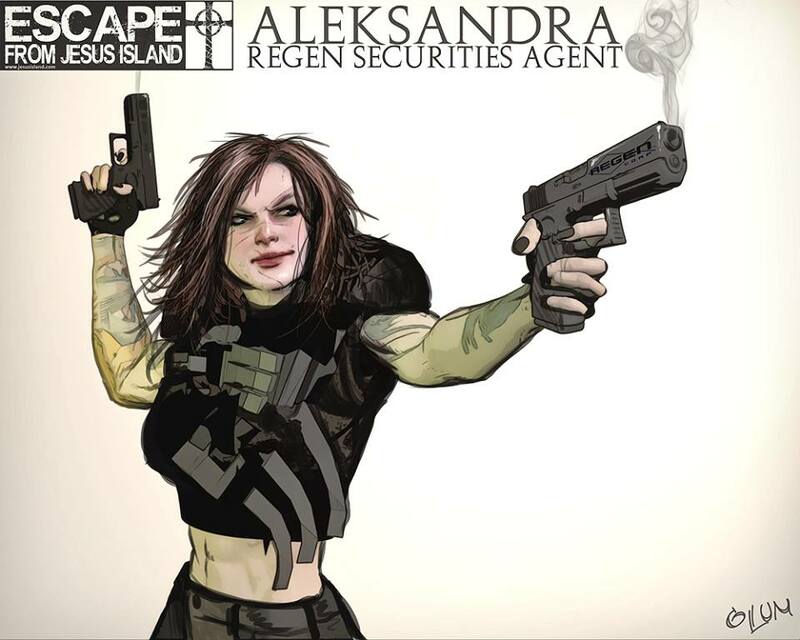 After a wildly successful debut as a Phantom Variant at the kickass stores in the Phantom Group, Episode 1 of Escape From Jesus Island makes its full launch with the main cover art today! We’ve put together this handy map showing all the stores currently carrying EFJI. If you want your local comic book store to carry Escape From Jesus Island, here are two ways you can help make that happen. 1) Contact the store and let them know you want them to carry EFJI. 2) Post a link to the store on our Facebook page (www.facebook.com/jesusisland), so I know to send them some info. Thanks! We are currently putting the finishing touches on our Escape From Jesus Island online store, which we could launch as soon as tonight. There you will be able to order signed issues, prints or even sign up for a subscription to have each EFJI installment mailed to you before it goes on sale to the public. And in case you missed the big news yesterday, Escape From Jesus Island writer Shawn French will be appearing on CNN this coming Sunday, Jan. 26, at 8:35 a.m. EST to discuss EFJI as part of the Faces of Faith series. You do NOT want to miss this! I am super psyched to announce that Escape From Jesus Island writer Shawn French will be appearing on the Faces of Faith segment on New Day Sunday this coming Sunday, Jan. 26. No, seriously. This is an actual thing that is happening. A mutant Jesus discussion has been booked for CNN. WHEN: Sunday, Jan. 26, 8:35 a.m. EST. on NEW DAY SUNDAY. WHERE: On your TV. A little channel called CNN. WHAT: A discussion of the Escape From Jesus island comic book series, featuring EFJI writer Shawn French, on the Faces of Faith segment. Tell every freak you know and hang onto your bootstraps, kiddies. It’s been just over two weeks since Episode 1 of Escape From Jesus Island hit the shelves, so here’s a little peek at what people are saying about our twisted tale, including news about our first award! 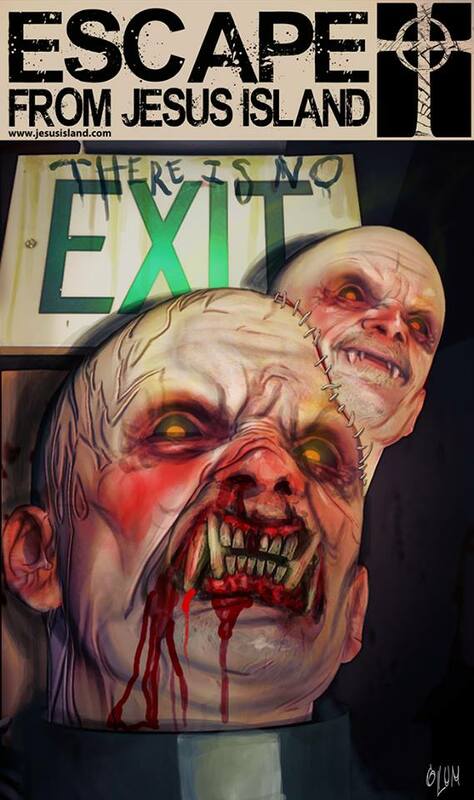 Bree Ogden at Bloody Disgusting included EFJI in her list of Top Five Comic Book Kills of 2013! Oh hell yes! 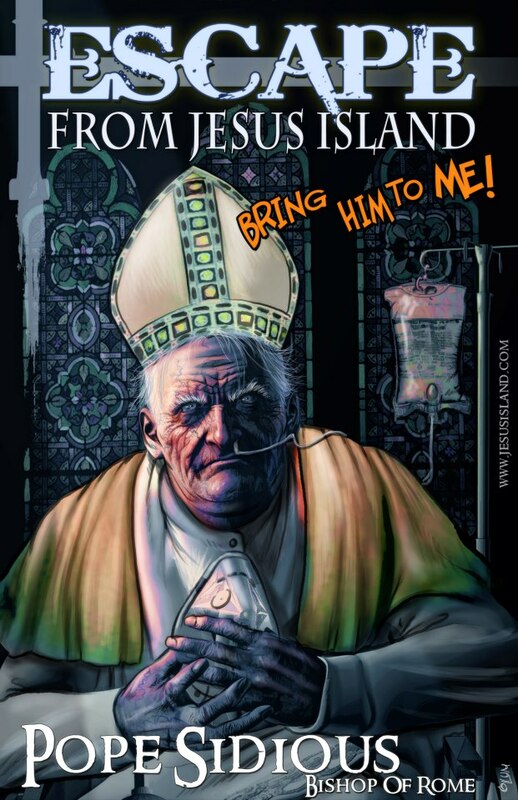 “Death abounds in the first issue of Escape From Jesus Island, but the best kill in this horrifically outlandish look at inhumane splicing/genetic experiments is that of classic self-centered twit, Russell, a schmactivist visiting the island to stop the animal cruelty. Prior to his gruesome death, we see what appears to be a half human (literally ‘halved’ human, as in, no legs) waxing poetic about eyeballs being the perfect treat because there are ‘no sharp bones to choke [him].’ This is one of my favorite instances of foreshadowing. It’s subtle, which is hard to pull off in such an utterly unsubtle comic. 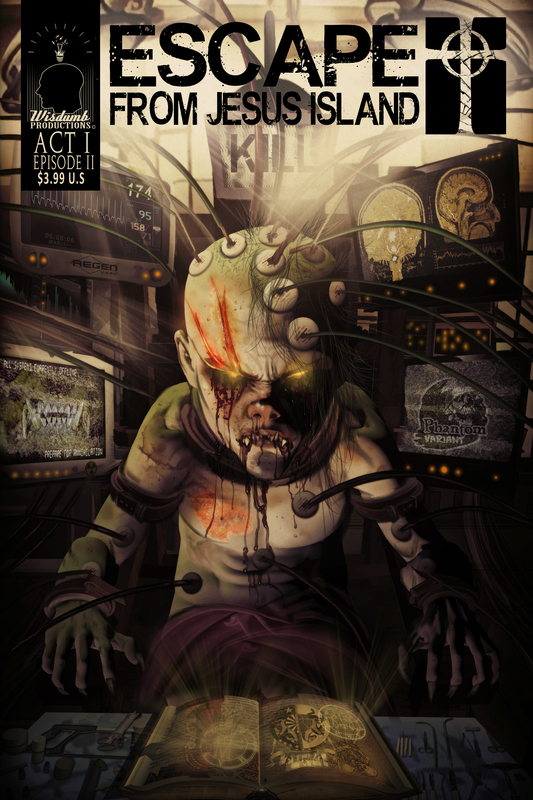 The folks over at G33kL1f3 also named EFJI as one of their Comics To Look Forward To In 2014. Boom! Comic Bastards: “Now this issue is not for the squeamish. 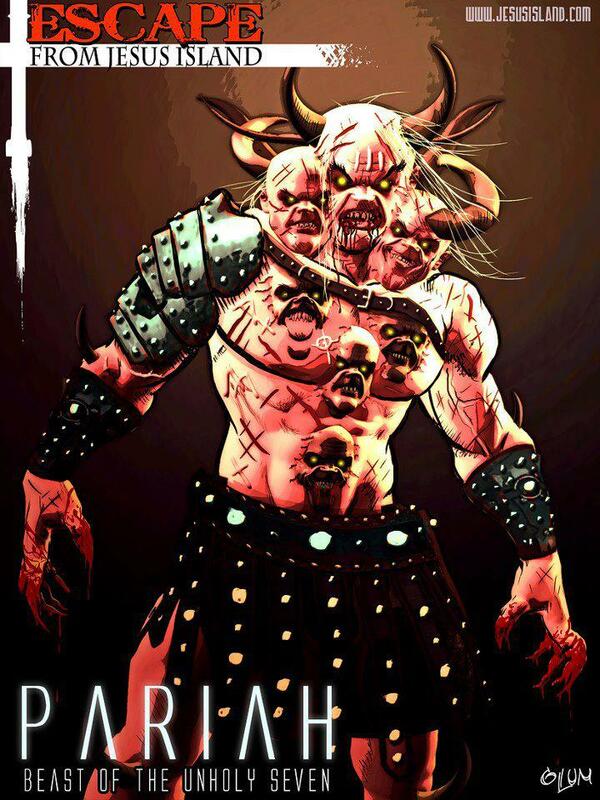 It is bloody, it is gory, and it is unrelenting in its pace. 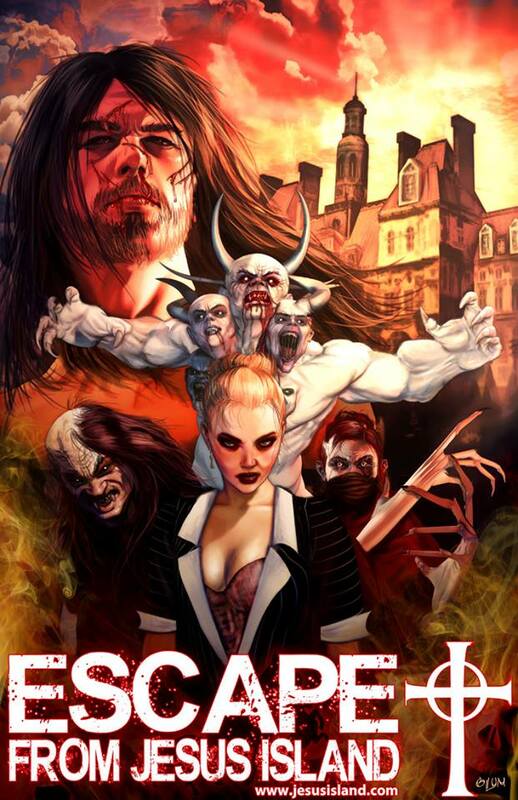 But if you can handle bloody disgusting intensity, brutal, yet engaging artwork,and a flare of morbid playfulness, then make the escape from the mundane and take this thoroughly enjoyable ride. You may be freaked out a little, but you definitely will be entertained. 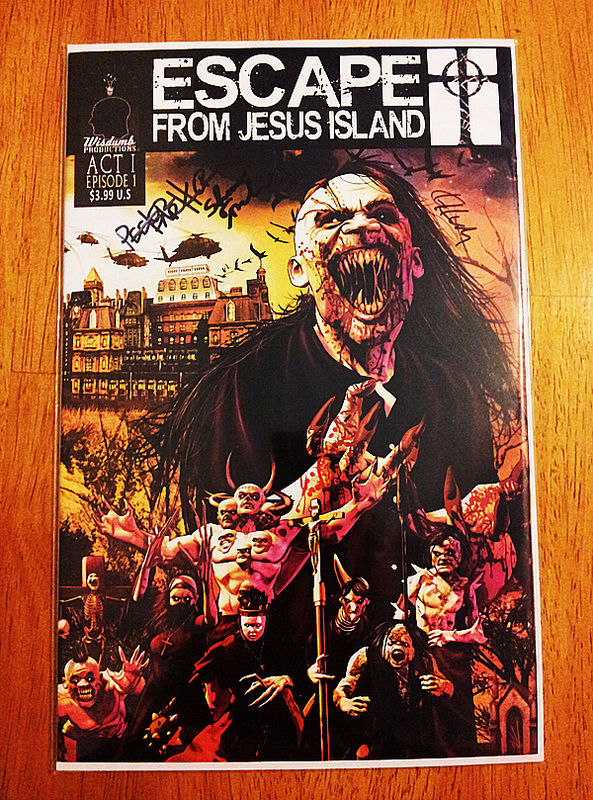 Comic Book Money: “Escape From Jesus Island (hereafter referred to as EFJI) is an exercise in passion. It literally and figuratively is splashed across the pages of the first installment. 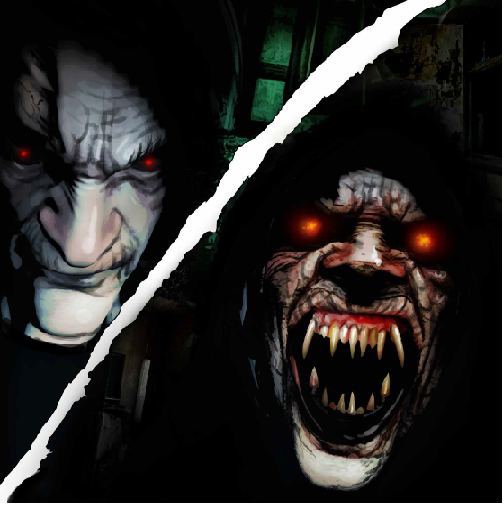 Shawn French has created something that reads like an american horror movie, but looks like something Dario Argento would be proud to call his own. Then there’s this review, which was prefaced by the critic on A Comic Show saying he has to leave the room during scary scenes in horror movies. 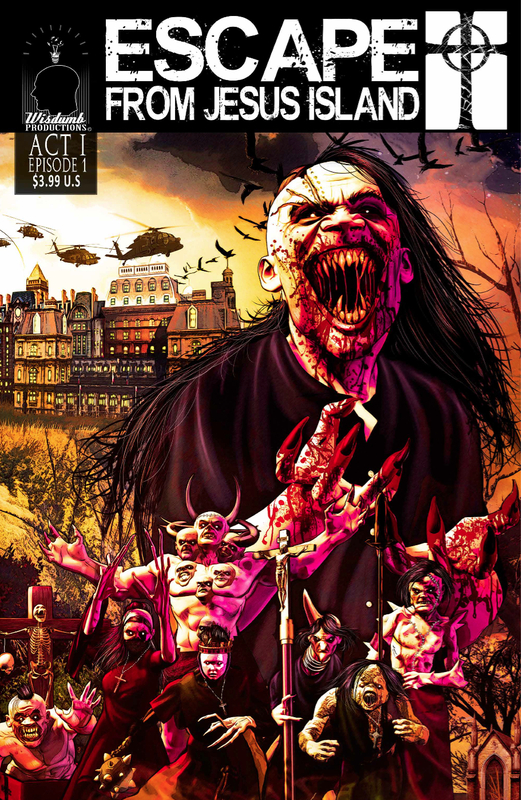 Escape From Jesus Island writer Shawn French recently sat down with Scott Hallam at Dread Central to talk all things EFJI. 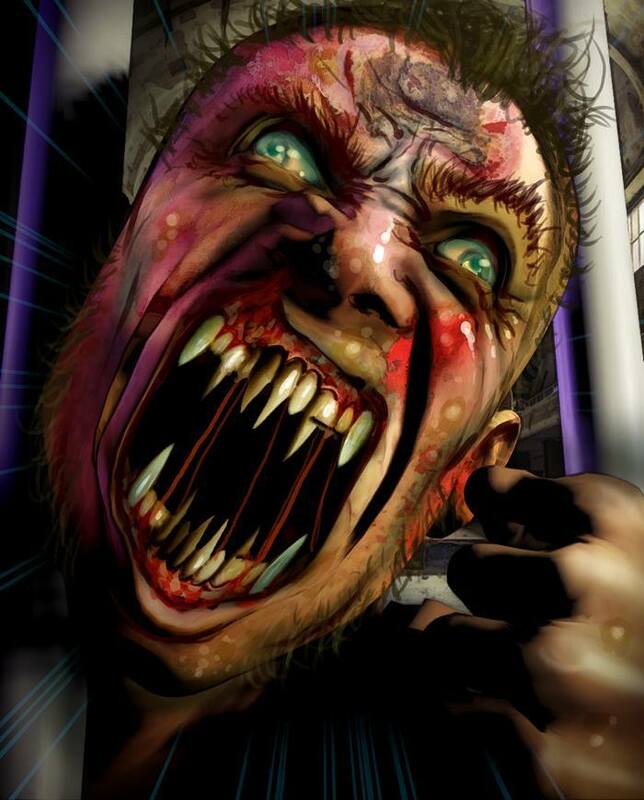 Doctor Curdle/Zombie Zone News: What is this Kickstarter business? I’m picturing kicking someone while they’re down until they start giving you money, exploding with cash like a magical piñata… Is that about right? 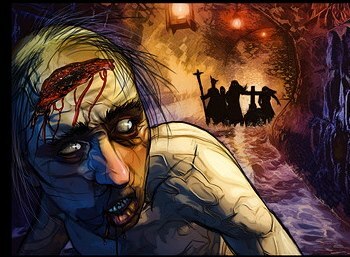 Shawn French/Escape From Jesus Island: It’s exactly like that. I think one of the biggest mistakes people make with their Kickstarter campaigns is they stop kicking before the magical cash piñata explodes. It can be tempting to stop, because to an outside eye, it just looks like you’re kicking someone who was trying to help you, but you have to just keep kicking. Trust the process. It gets stranger from there. I think it’s safe to say, people are enjoying our premiere issue. If you haven’t read it yet, what are you waiting for? If you can’t get to a Phantom store to grab one in person, here are a few handy online order links. 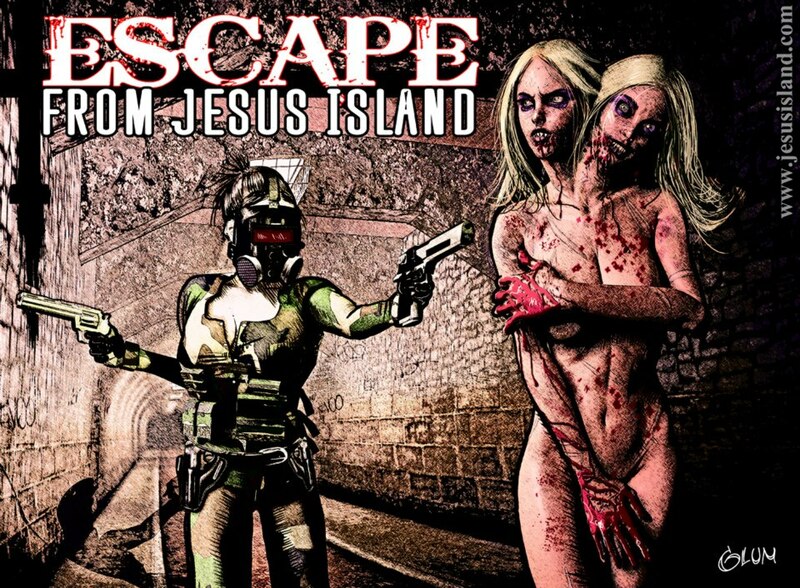 Escape From Jesus Island, ON SALE NOW! 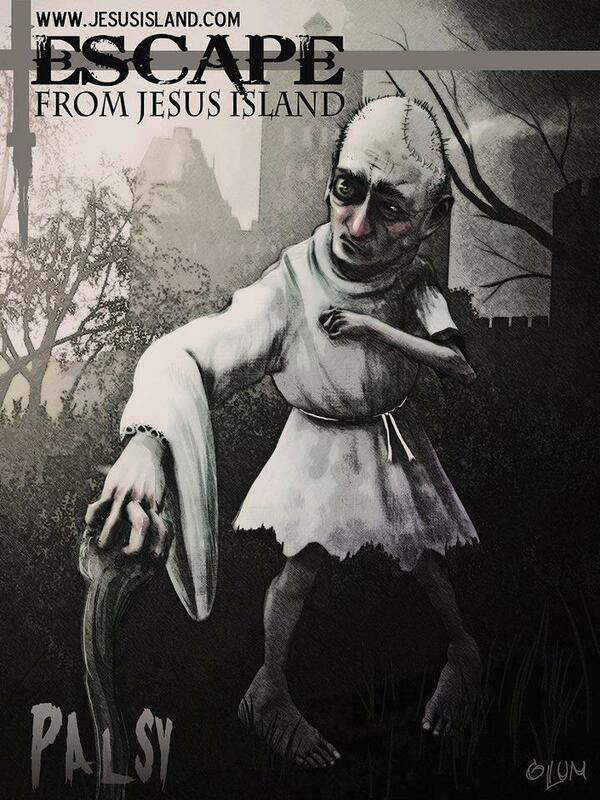 After 20 years of toying with this story, five years of daily obsessive writing and a year of production, the Jesus Island journey begins TODAY! 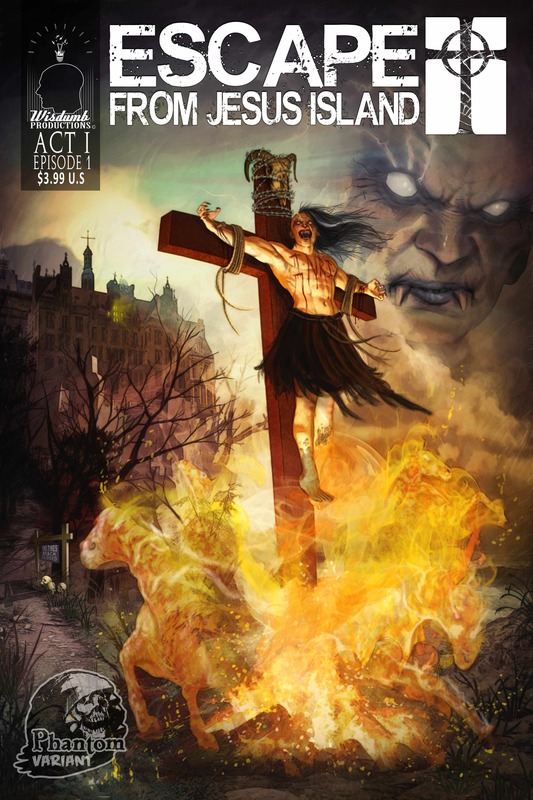 A special Phantom Variant issue of Escape From Jesus Island, Episode 1, is hitting store shelves this morning. This is a limited run and pre-sales have been crazy, so they are expected to go fast. After our exclusive 30-day preview run at the Phantom stores, Episode 1 will have a wider release on Jan. 20, including a digital version on all the major e-reader platforms. A group of activists from the animal rights group STAB (Stop Treating Animals Badly) breaks into the remote Malsum Island Research Facility, determined to document the horrific abuse of animals by pharmaceutical giant ReGen Corp. 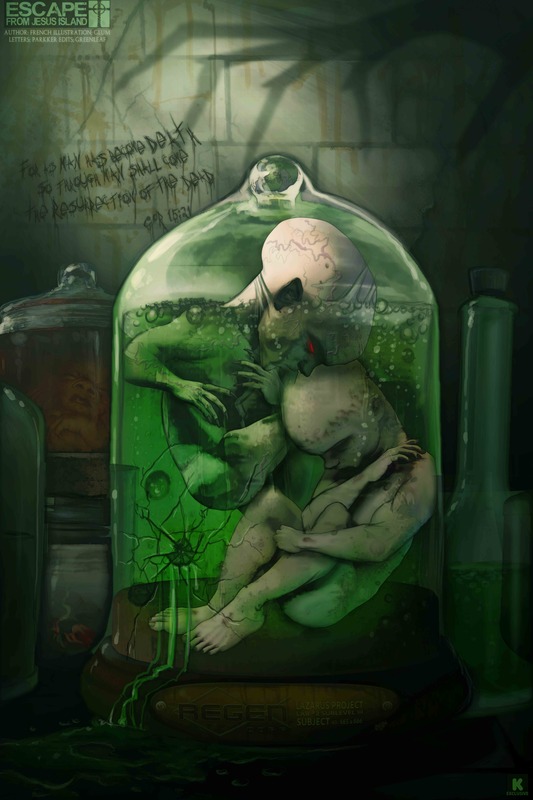 They discover too late that the horrors in ReGen’s laboratory exceed anything they could have imagined in this first installment in the Apocalyptic comic book series from writer Shawn French and illustrator Mortimer Glum. Episode 1 Title and Synopsis! The Escape From Jesus Island team is psyched that this epic journey will begin this Christmas as part of the Phantom Variant series. 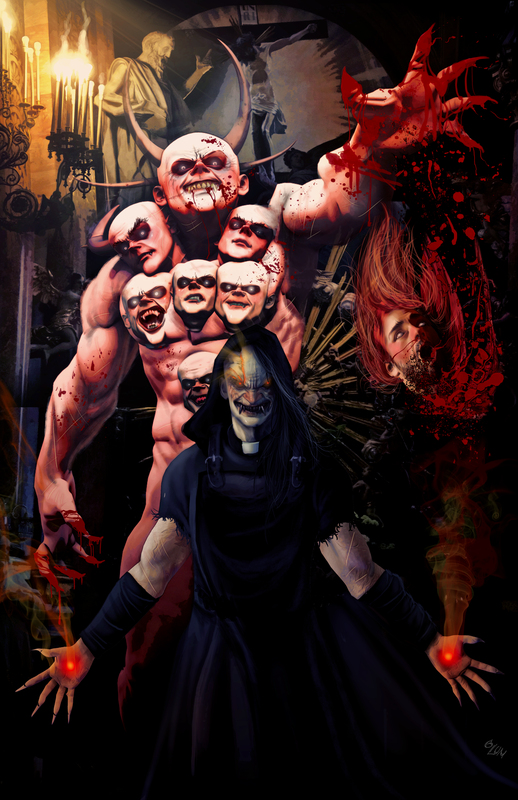 You’ll be able to get your copy with this kickass cover by Mortimer Glum exclusively at Phantom Retailers. 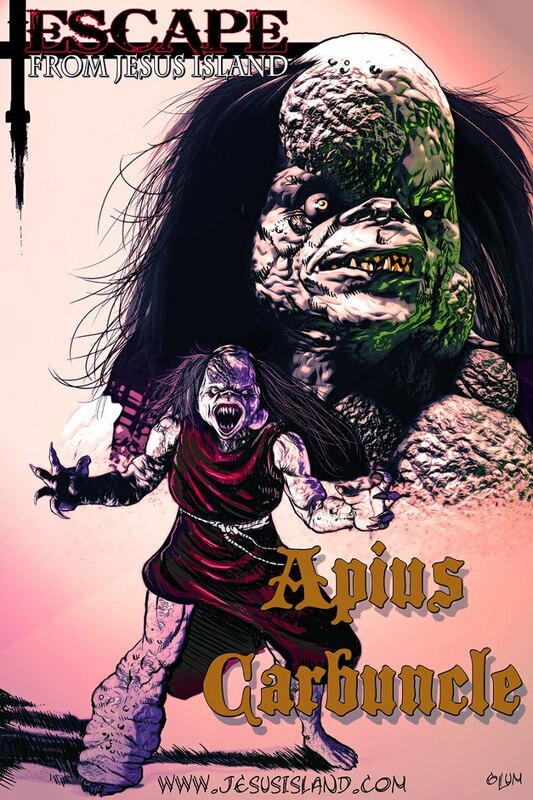 Escape From Jesus Island Halloween Art Contest! In honor of our very favorite holiday, we at Jesus Island are happy to announce our newest opportunity for you crazy freaks to get in on the fun: MORTIMER GLUM’S SHOW ME YOURS AND I’LL SHOW YOU MINE contest. 1) Draw/sketch/scribble your favorite EFJI character. 2) Post the artwork to your Facebook wall. 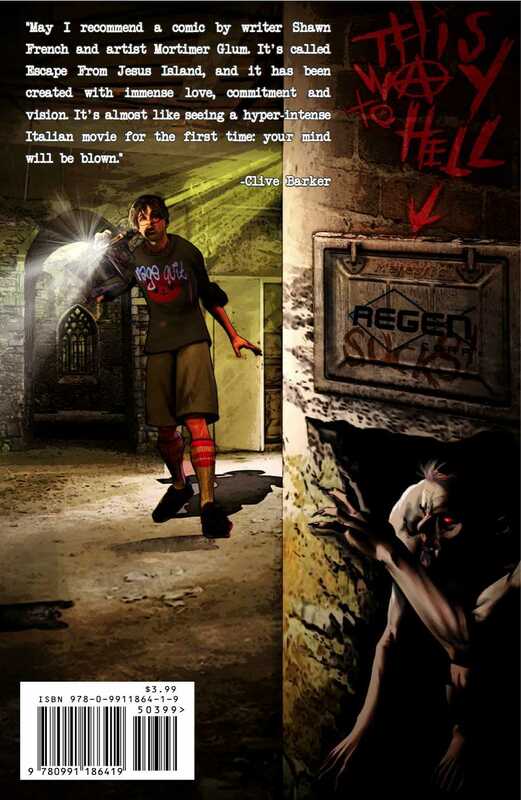 3) Tag Escape From Jesus Island in the image. 4) E-mail your artwork as an attachment to JesusIslandComics@gmail.com. The Jesus Island crew will judge the entries based on originality, technique, ridiculousness and overall heresy. 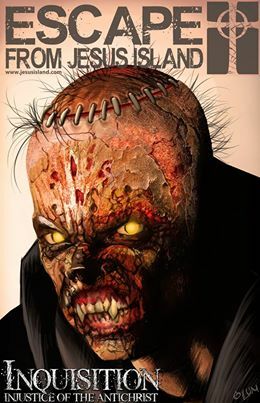 PRIZES: The winner will receive a free mutant makeover by illustrator Mortimer Glum for themselves or a loved one. 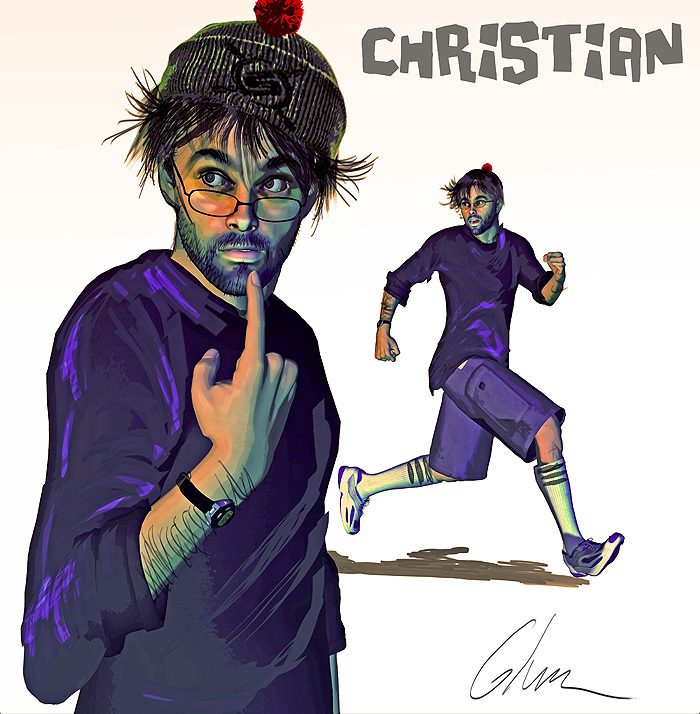 Includes a signed print of your mutant self. 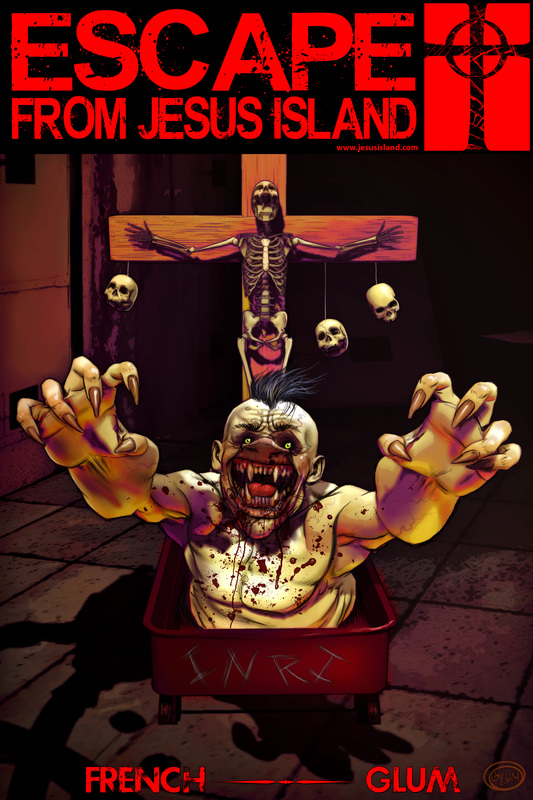 The winning entry will also appear in print in Issue 1 of Escape From Jesus Island! If we receive 10 or more entries, we’ll add smaller second- and third-place prizes as well. So help us spread the word about the contest and we’ll have even more awesomeness up for grabs. DEADLINE: The deadline for entries is TUESDAY, OCTOBER 29 at midnight. The winner will be announced on Halloween. 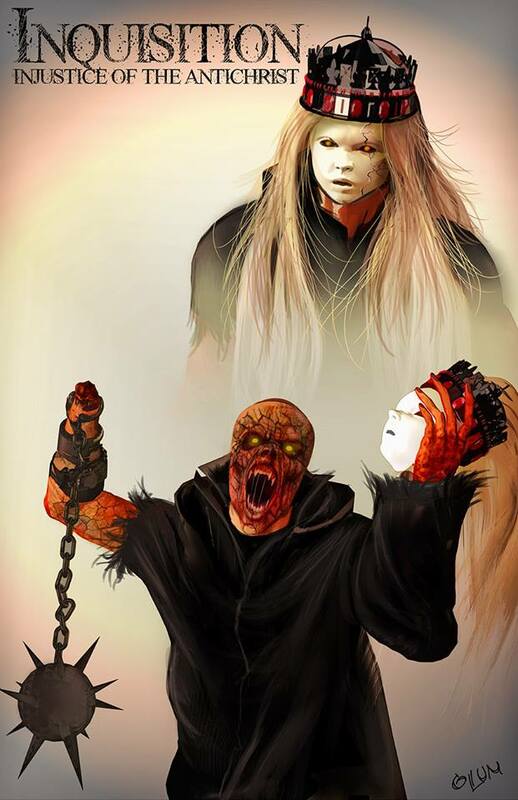 Below are a few character concept images to get you started. Happy drawing! Steven N. Long is Inquisition! 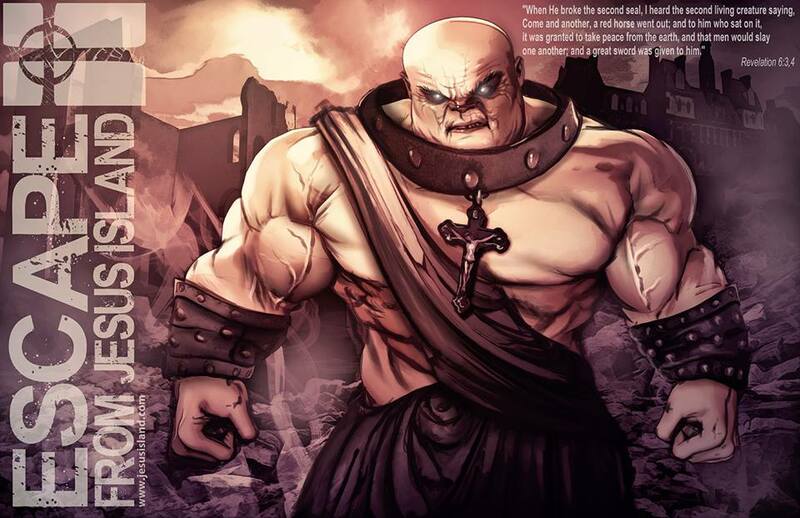 One of the biggest characters up for grabs in our (or any other) Kickstarter campaign was Inquisition, Damien’s personal bodyguard. The Shadow of the Antichrist. 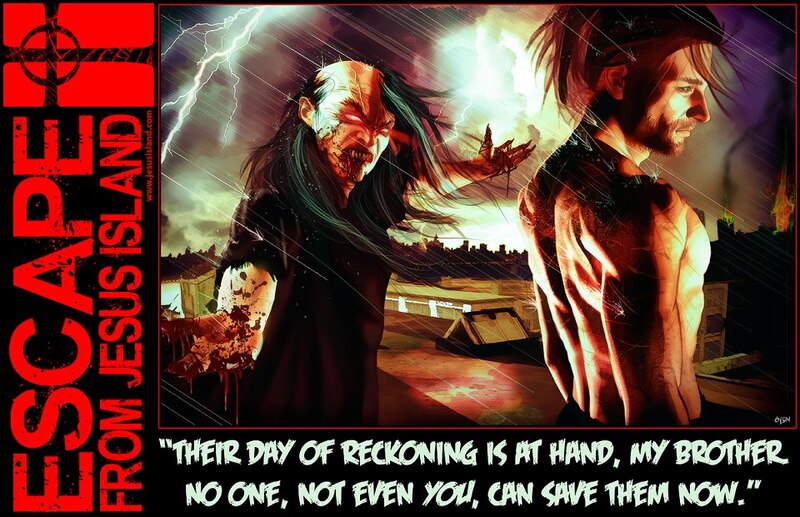 This character will be a staple in the Jesus Island franchise, always at his master’s side and ready to dish out some carnage. 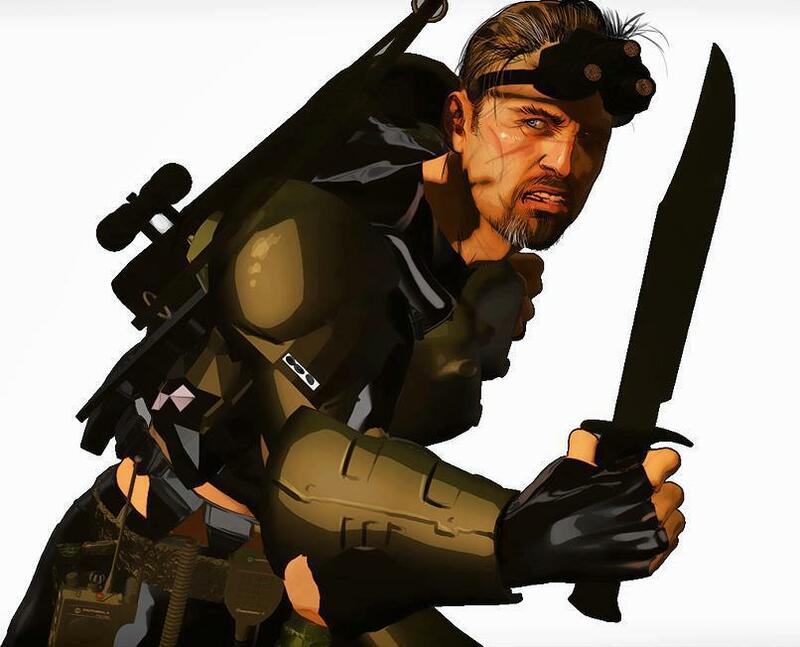 We are happy to announce that Steven N. Long, an active duty sergeant in the U.S. Army, will be playing the role of Inquisition in the Escape From Jesus Island comic book series. 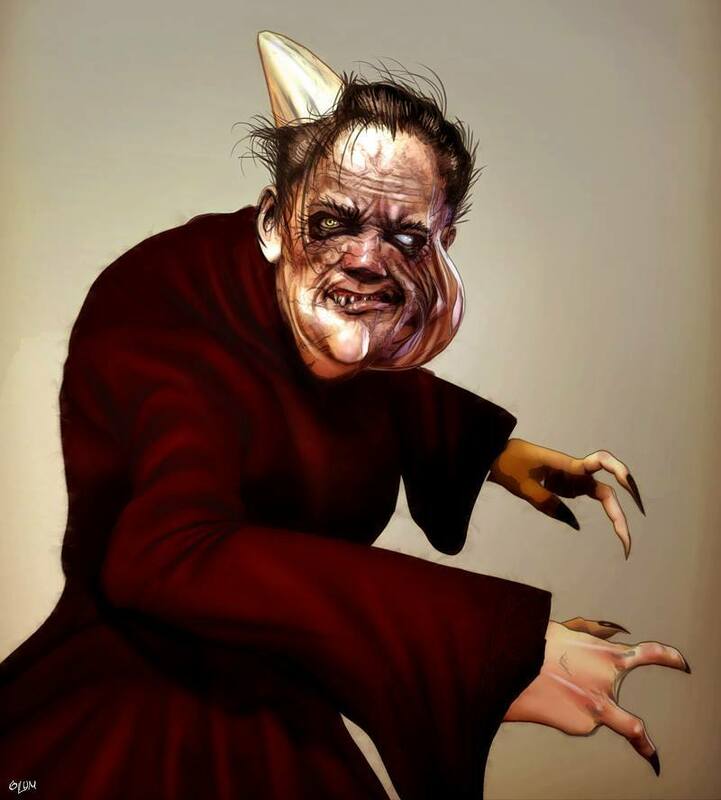 Using reference photos, Mortimer Glum will recreate this major character, building a posable 3D model of Steven as Inquisition. This allows for the most accurate possible likeness by providing a consistent reference model at any angle. 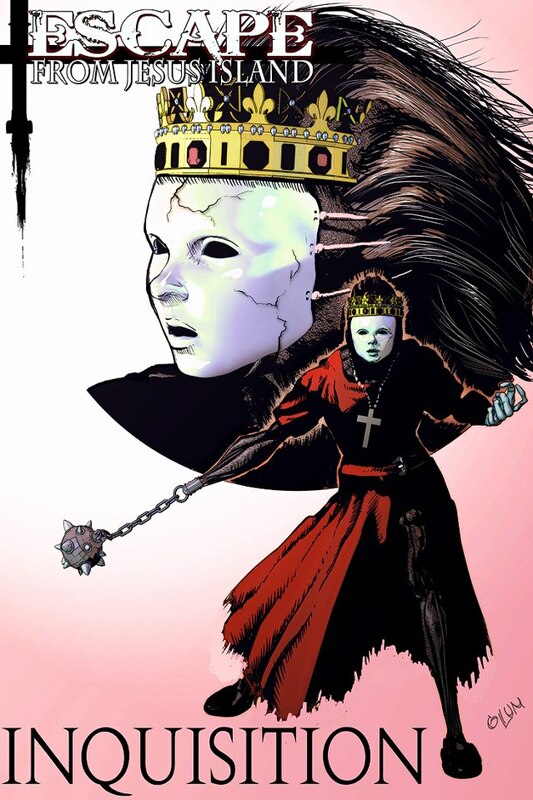 Inquisition makes his first appearance in Issue 1 and we’ll learn more about how he became the way he is as the story unfolds. Thanks so much for your support, Steve! 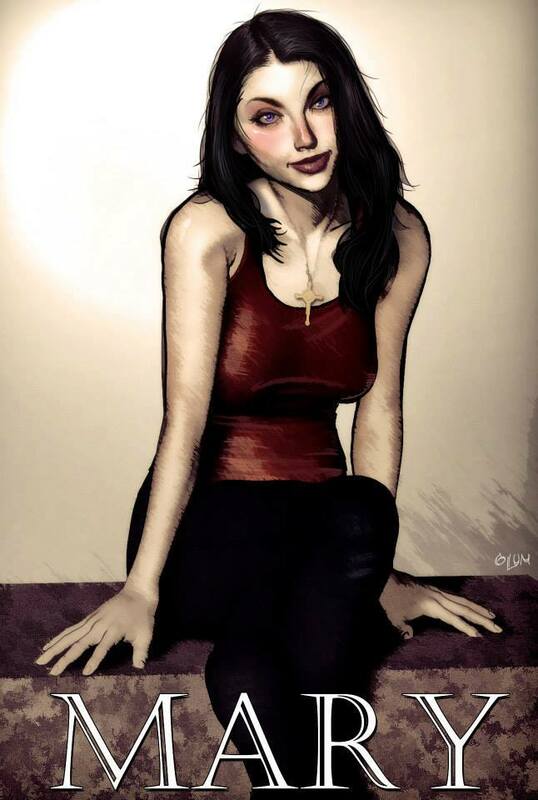 We are thrilled to have you as a character who plays such a major role in this story. The Kickstarter was a Success!